Many have heard some version of the story of the young Count Zinzendorf commiting his life to the service of Christ after seeing the painting Ecce Homo ("Behold the Man") by Domenico Feti; but few have seen the actual painting! "This have I suffered for you; now what will you do for me?" A Spurious Tale - and a True One! 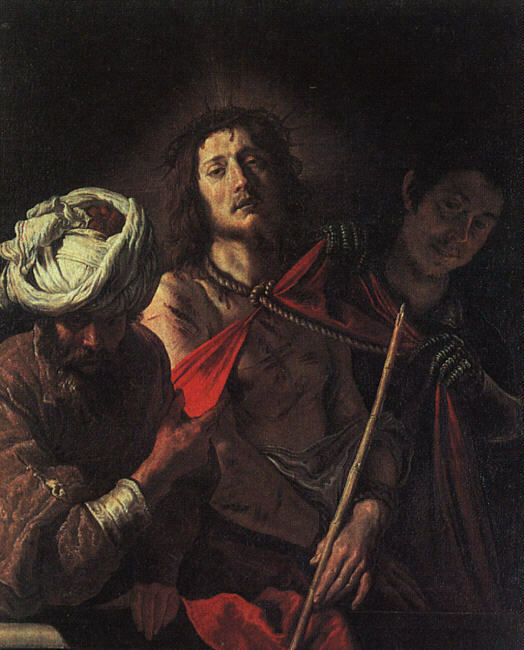 Over the years, we have been contacted numerous times by preachers seeking to verify the variation on the story they had heard, that the Ecce Homo was painted by an artist named Sternburg (or Stenberg) whose life was changed in the act of creating the painting and the questions of a little gypsy girl. Sorry to say, this story is completely spurious, apparently having its origin in a 20th century tract. The author either made the story up out of whole cloth or was repeating a made-up sermon illustration he had heard. Despite the fact that we knew with certainty who actually painted the picture, we asked several art historians to see if there had been any artist named Sternburg or Stenberg during an appropriate time frame, and they were not able to find any record of any practicing artist in Europe by that name during the 17th and 18th centuries. It is a fact that the hymn writer Frances Havergal (December 14, 1836 – June 3, 1879), best known for her hymns Take My Life and Let It Be and I Am Trusting Thee was also inspired by the Domenico Feti painting. 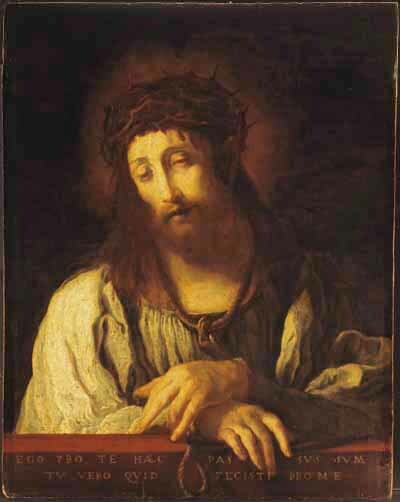 In 1858, during a trip to Germany, she encountered the Ecce Homo painting, and like Zinzendorf, was moved by both the painting itself and the motto "This have I suffered for you, now what will you do for me?" She scribbled a hymn verse, I Gave My Life For Thee on a scrap of paper. Whether she was aware of Zinzendorf's experience with the painting is uncertain, but it is possible since she had extensive contact with the Moravians in England. 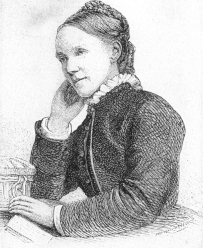 At first unsatisfied with the verse, she found that others were very moved by it and it was published in a leaflet in 1859 and later in Good Words in 1860 and The Ministry in Song in 1869 to a tune written by her father, Baca. Philip Bliss later wrote the tune familiar in America, Kenosis. I was so over­whelmed on Sun­day at hear­ing three of my hymns touch­ing­ly sung in Per­ry Church, that I ne­ver be­fore real­ized the high priv­i­lege of writ­ing for the “great con­gre­ga­tion,” es­pe­cial­ly when they sang, I Gave My Life for Thee to my fa­ther’s tune Baca.